Here’s why they perform so well. They give your blog reader the very best next action to take. That makes it easy for her to move from discovery (reading your blog) to conversion (opting in). 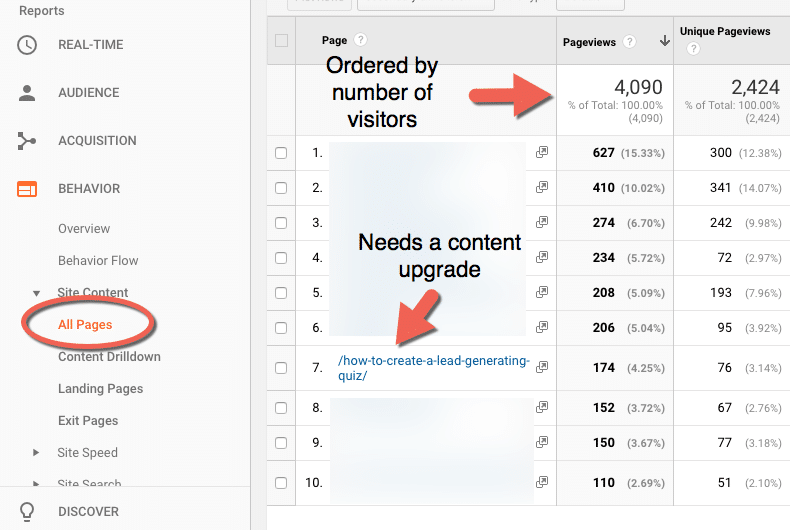 Deciding on a content upgrade isn’t the same as creating a more general lead magnet. While your main offer — the one that probably appears in your sidebar or as a pop-up on your home page — has to appeal to all your visitors, a content upgrade is different. It’s hyper-focused and highly relevant to the post it appears on. A PDF of the post itself (“No time to read now? Download the PDF to save for later.”) This option is ideal for longer, pillar-style posts. Resource guides. Help your reader decide on tools, software, or the additional training they need in order to get the most out of the information in your post. Break your post down into a step-by-step, actionable checklist. Help readers make decisions or organize their plans with a fill-in-the-blank guide. Templates or swipe files. Make it easy for your visitors to achieve results by providing copy-and-paste solutions. The key here is to match the intent of the reader. Why did he or she read your post in the first place? What is her goal? An irresistible content upgrade is one that makes it easier to get there. For a subscriber, a great opt-in offer solves a nagging or urgent problem with actionable strategies. For you, the business owner, the best freebie is one that moves your subscriber one step closer to paying you. Adding a new contact to your mailing list isn’t the end of your funnel. It’s just the start. Now it’s time to nurture that new relationship with a series of follow-up emails, and for that, you should always keep one thing in mind. For example, if a subscriber opts in for tips on training her new puppy, it makes no sense to start sending her information about agility classes. She and her puppy aren’t ready for that yet. What they can use though, is information on crates, feeding schedules, and the value of a designated potty spot. Not all blog posts are a good fit for a content upgrade. Some posts have different goals, such as promoting a product, engaging your audience, or introducing an affiliate offer. If you’re deciding where to add a content upgrade to your blog, start with the posts that don’t already have a strong call to action. 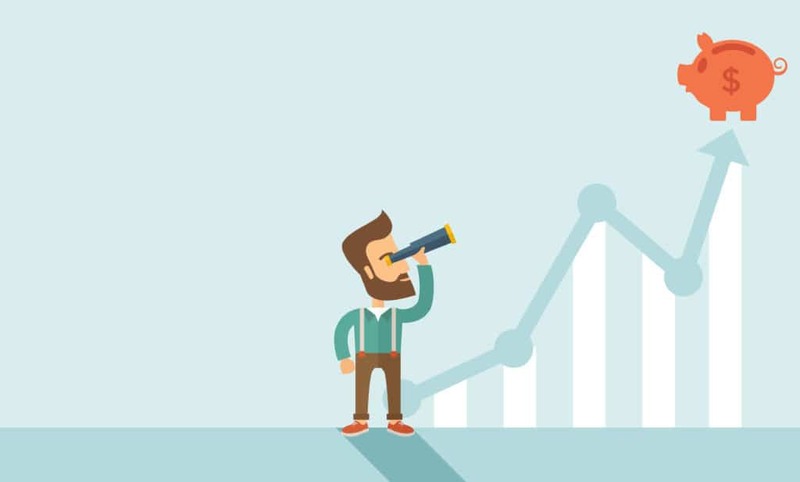 With a few of those in mind, take a look at your analytics and see which ones are getting the most traffic, and start there. Take a look at the comments each post is receiving. What questions are your audience asking? Where do they need more clarification? 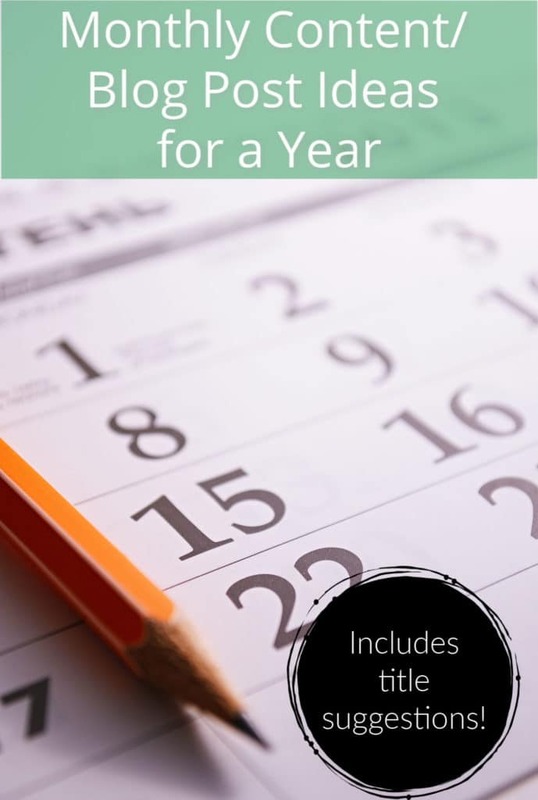 Turn those questions into checklists, worksheets, or templates and offer them as an opt-in gift on that post. If your best performing articles are more than 1,000 words, consider adding a PDF version so readers can download the post to read later. Post Gopher has an easy-to-use WordPress plug-in that does just that. 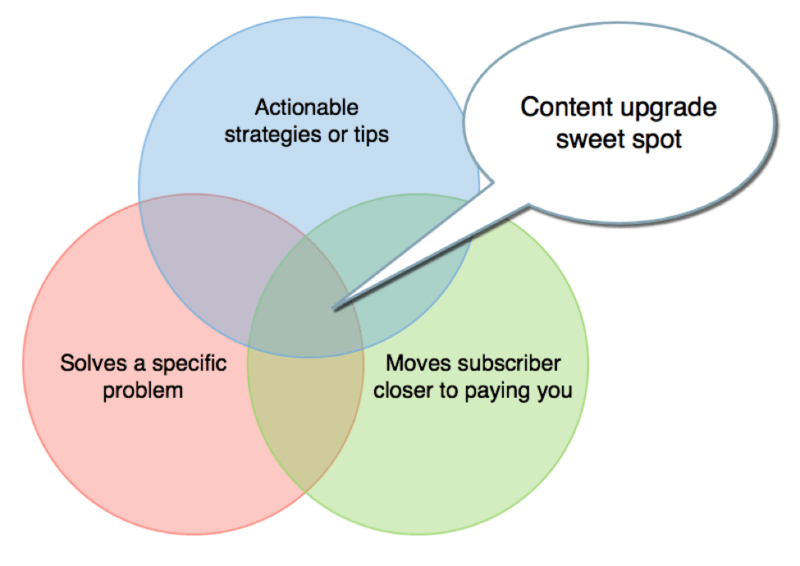 Content upgrades are a powerful strategy to add to your list-building tool box. 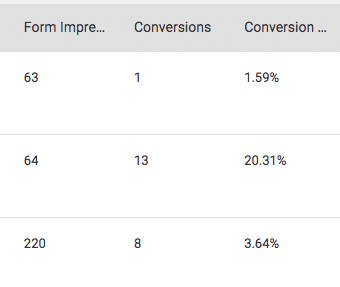 While they might not get the exposure of a site-wide pop-up form, the readers who do see them are much more likely to take action. Not only that, but they give you valuable insight into your audience as well. A content upgrade that performs exceptionally well tells you that your readers want more information on that topic. One that receives little attention may mean you can stop spending time on that subject. Finally, content upgrades allow you to segment your list so you can always be making the most relevant, targeted offers to just the right people. That’s a strategy that will always provide better results than the shotgun approach that many small business owners use. 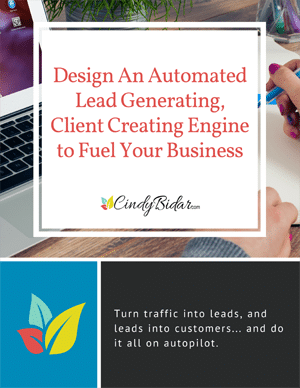 Ready to do more with all your marketing funnels? 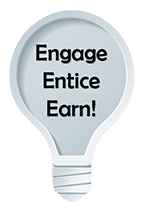 Whether you’re creating content upgrades, landing pages for paid ads, or adding a more general freebie to your site, my free funnel design workbook will help you add more value for your subscribers and put your list-building on autopilot. Scoop up your copy today. Have Questions About Content Upgrades or Marketing Funnels? Ask Cindy or me below! Thanks for this article, I just posted my first content upgrade yesterday without knowing this, so good to hear I’m on the right track! I’m using the free MailChimp account still though and had a hell of a time trying to figure out how to deliver the content specifically to people signing up through that post. I ended up just sending out the upgrade to everyone who joins my list for now, which is obviously not an effective long-term strategy. What email provider are you using to manage these different opt-ins? So glad you found Cindy Bidar’s post useful! I use https://www.marketingwords.com/aweber for list management. I have never used MailChimp so I can’t address how to set that up. Cindy? Do you know how? Hi Shanley, I’m not super familiar with MailChimp, but I believe you can set up a separate list for your content upgrade, then have a specific automation or campaign that goes out to just that list.